Essential tool for anyone laying a long cable, water lines, drain lines, gas lines, irrigation, vegetation barrier or french drains. The Ditch Witch exists for one purpose, and one purpose alone: to efficiently cut a channel up to 36 inches deep and six inches wide, so you can put your cable or line into the ground. It's got the power to do just that, with an 11.7 HP Honda, and the DuraTrak™ track maximizes your stability. 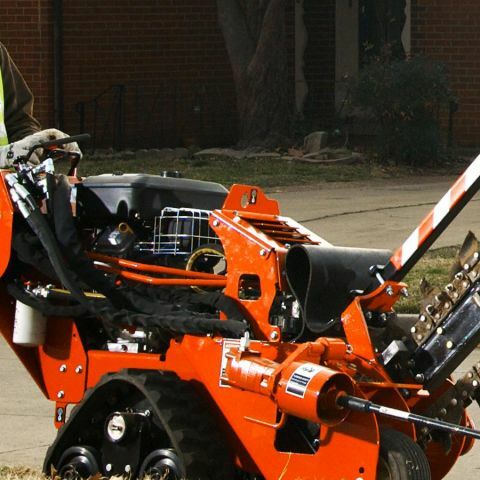 Call local utilities and 811 to locate underground utilities before trenching.